One of the first things we did as a production team was script editing. The session itself will be explained in a later post but in this particular article I would like to focus on just one thing people seem to overlook: character names. Even with blockbuster films, sometimes you wonder where on earth the filmmakers came up with some names. I recently watched Babel and there were American children aged about 8-10 called Mike and Debbie. I didn't want to be finicky, but to me they didn't sound like modern kids at all and the names kept bugging me throughout the film. As a production team we thought carefully about each character's names. Because we are all foreigners (Sinead is Irish, Dan's Kiwi, I'm Japanese) we were extra sensitive. We didn't want them to sound unnatural to an English audience. 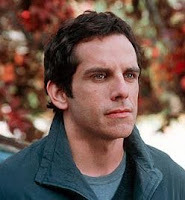 Character names should reflect their age, country, social status, while also creative and memorable, but should never distract or confuse the audience unless it's done on purpose (as in a comedy, like the character played by Ben Stiller in Meet the Parents!). Of course, in reality people do have interesting names. It's very possible that there today exists a young girl called Myrtle or Doreen, or a builder called Rufus or Charles, or brothers Shane and Shaun, or friends surnamed Cod and Chip (this is for real according to a friend of mine) and people called James Bond or Tom Cruise (these people apparently exist too). But in films they will distract the audience from the story and we should avoid by all means. For our central character, the name John Miller is quite nondescript and it fits his social background and age group. And since the name would't help him to stand out in a crowd, he somehow had to prove himself that he was unique. Incidentally it's the same name as the character played by Tom Hanks in Saving Private Ryan (http://www.imdb.com/character/ch0002091/). Tip # 11: A short or a feature? Tip #7: Film Financing …Show me the money!